Another Revlon. I have a bunch of drug store polish and I hardly ever wear any of it. I've been digging in my drug store drawer and I think I'll be wearing some of it more often. 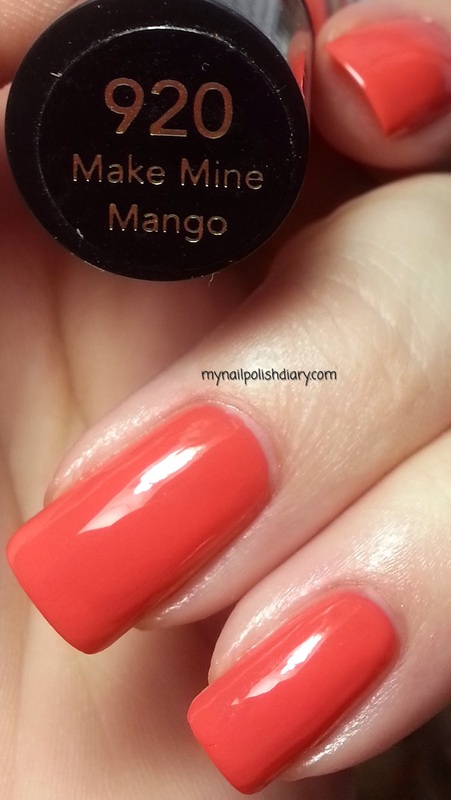 Revlon Make Mine Mango is a orangey coral creme from the core collection. It's a pretty color and I liked wearing it a lot. 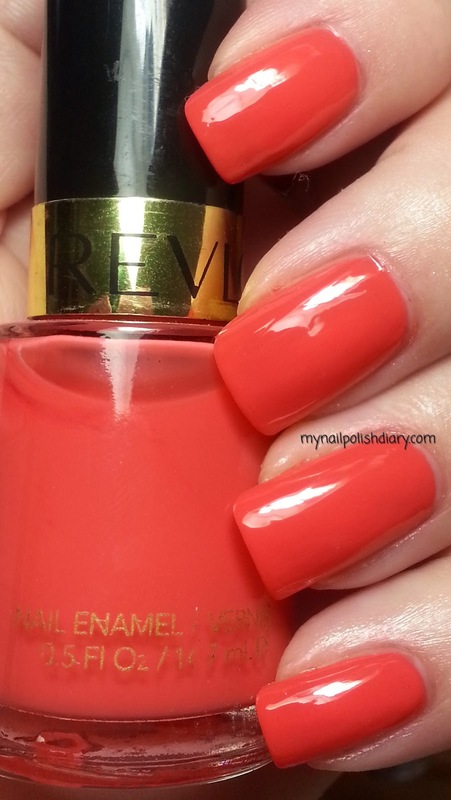 It's typical Revlon formula so it was a breeze to do my mani. This is a fun color.